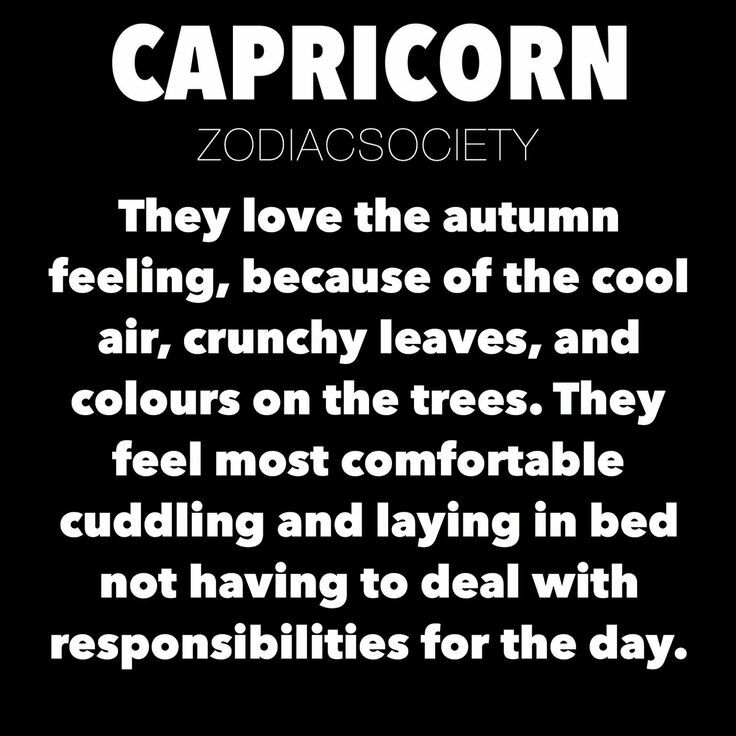 Capricorn Personality Traits #005 | Capricorn Life - Capricorns Rock! 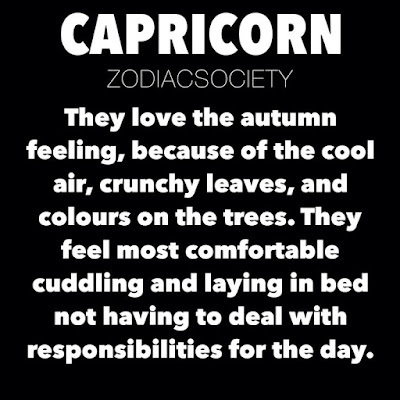 Capricorn love the autumn feeling, because of the cool air, crunchy leaves, and colours of the trees. They feel most comfortable cuddling and laying in bed not having to deal with responsibilities for the day.